Posted <2017-05-06 Sat 11:48> by Aaron S. Jackson. So I have been off and on checking things for a while as they come to mind, or as people make suggestions via the classiccmp IRC and email list. I was right in thinking that the MJE13006 transistor (Q202 in the schematics) was failing. After I removed it I checked it in my old multimeter (since my new one doesn't have an hFE tester) and it was broken. I installed a new one as soon as it arrived and powered up the terminal. The behaviour this time was quite different. It was unable to remain powered up and would switch on and off repeatedly. To confirm I hadn't broken anything, I tried it again without Q202 and it was able to power up the logic circuitry again. What does this mean? Well, I don't really know. joe_z on #classiccmp suggests that perhaps switching power supply is unable to supply enough current to power up the logic and the horizontal control. This seems reasonable, but testing the power supply is tricky since its built into the monitor board. So for now I suppose I will have to test a few of the components in that area one by one. The only thing that is irritating me at the moment is that the power circuit described in the VT220 schematics from 1983 is different to the power circuit on this particular VT220. In fact, it is a VT220-F3 from 1986. There are no schematics online available for this specific model from what I can tell. In this VT220, there is a "Billion" transformer mounted to the side of the chassis. In its current state it steps the 240v AC down to 40v AC. This is the only source of power supplied to the board. Is this the right voltage? Perhaps it is supposed to give out more voltage than this, and the 40V it provides is only enough to power the logic. 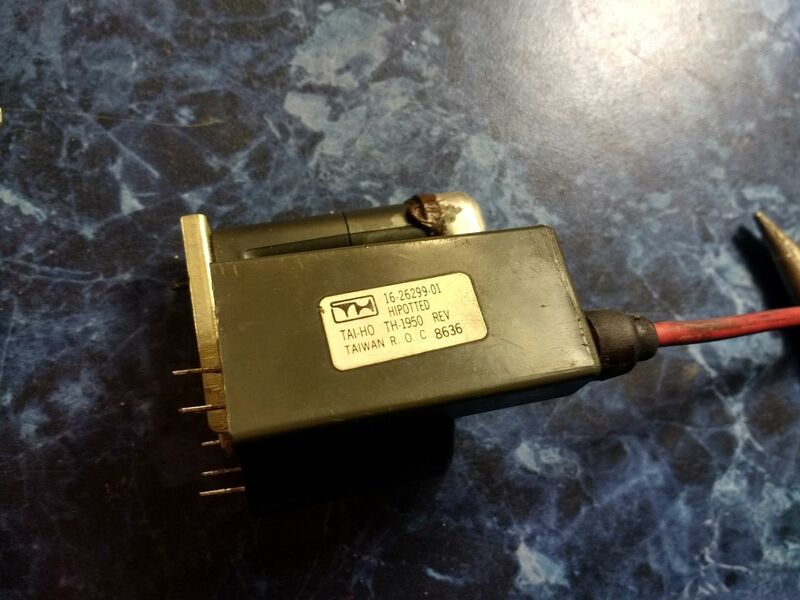 I am tempted to find a 240V to 110V step down transformer and try and power the terminal with the voltage selector set to 100V. <2017-05-11 Thu 22:49> Hmmmm. Yeah. The flyback is dead. The 13006 transistor was too. If I can get a flyback for a reasonable price, I will, but this is pretty unlikely. If I put about 30v and a volt meter in series through the secondary coil, I get nothing. 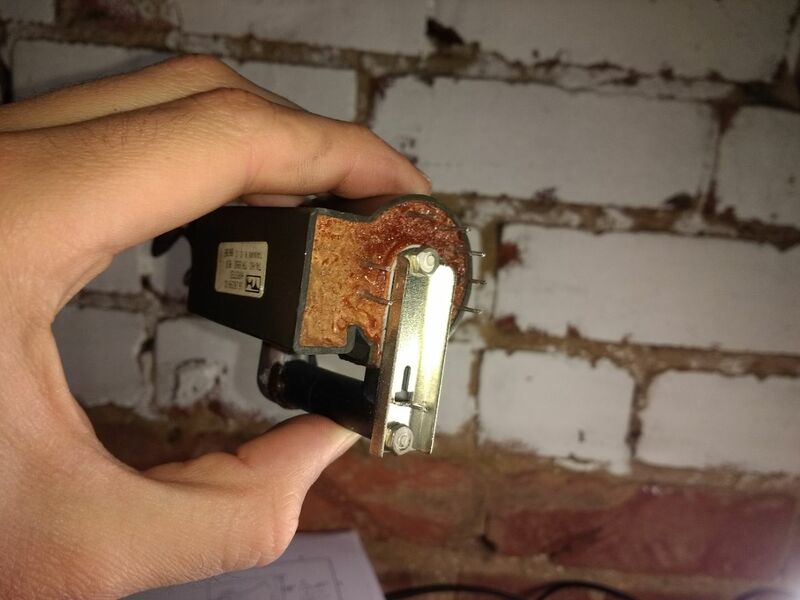 Primary coil is fine. 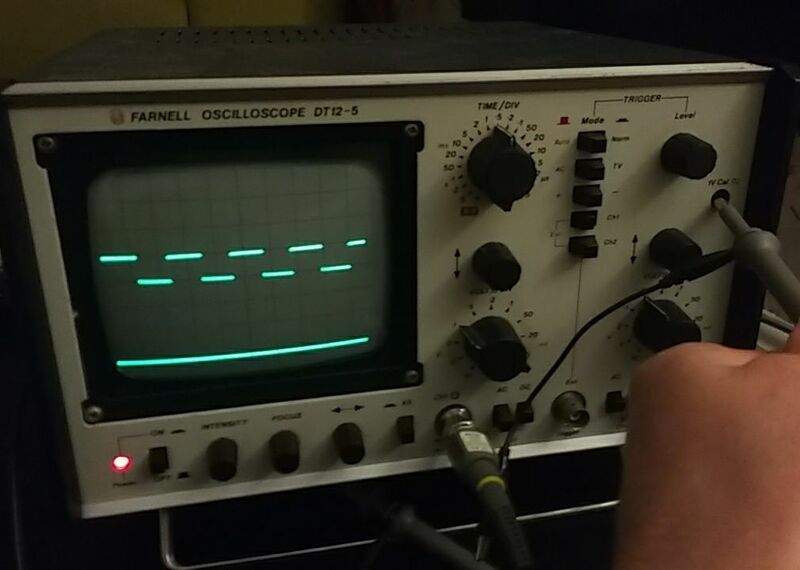 Incidentally, I got an old Farnell oscilloscope from 81 the other day. It was £20 on Gumtree. I think that is a fairly reasonable price. I haven't probed about in the back of a CRT with a scope before, but I quite enjoyed looking at the H-sync and V-sync signals. Here's my scope!